The SMART ADAPTER W is the wireless communication device that can transmit the vehicle data to an iOS/Android mobile device. Data obtained from your vehicle can be displayed on your device screen by dedicated Apps. ※This product can be used and the apps can be downloaded only in Japan, the US, and Canada because of the Radio law certifications. Please do not use this product other than in Japan, the US, and Canada. ※In regard to Android devices, please check its adaptability and the performance of this product and your device at a shop, or contact our official US distributor TEIN USA in details before purchasing it. As for iOS devices, please see the adaptable device list here. Just connecting the SMART ADAPTER W to the ADVANCE Unit, the SMART ADAPTER W can transmit information on the Unit sensors to an iOS/Android device. By installing the dedicated App, meters or graphs can be displayed on the screen. By acquiring vehicle information from the OBDII connecter, compared with the sensor connecting, it is much easier to get information at low cost. It can transmit vehicle information to your iOS/Android device without the ADVANCE SYSTEM if the OBDII follows ISO-CAN specification. There’re three ways of connecting. Information acquired by ADVANCE Unit sensors, such as temperatures or pressures, can be transmitted to an iOS /Android device. ※If you connect the SMART ADAPTER W to the ADVANCE SYSTEM, the ADVANCE Control Unit and its sensors are necessary. When connecting the SMART ADAPTER W to the in-vehicle OBDII connector, ISO-CAN information, (e.g., throttle calibration), will be transmitted to an iOS/Android mobile device. 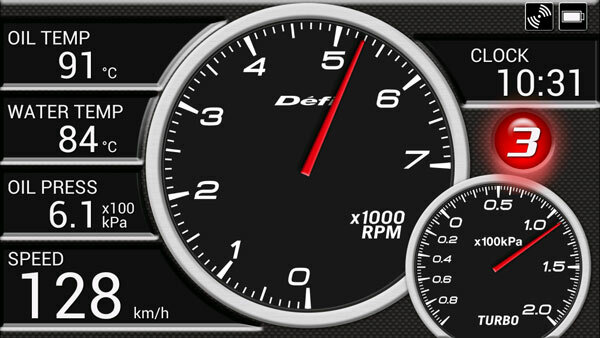 Compared with the sensor connecting like the ADVANCE SYSTEM, it is easier for you to draw out vehicle information at low cost. ※Please make sure that your vehicle is applicable before purchasing. ※The ADVANCE SYSTEM is not necessary if you use the only OBDII. 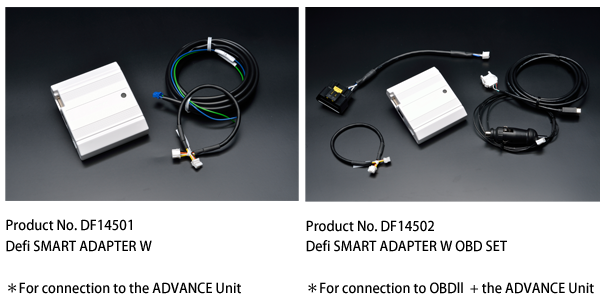 ※Some display items of the OBDII connector are different from the ADVANCE SYSTEM. ※You need an OBDII wire harness when connecting the OBDII connector. If you buy the SMART ADAPTER W (DF14501) only, please purchase the OBDII wire harness. ※The signal data sent from OBDII to SMART ADAPTER W are output to only smartphone/tablet not ADVANCE system. 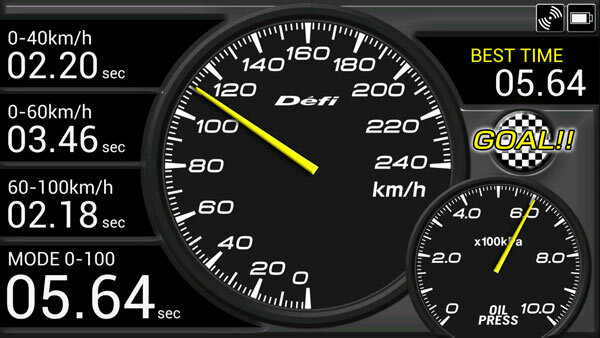 Please run the dedicated Apps for iOS/ Android to display vehicle information. You can customize display items and gauge’s colors. ※Please make sure that your device is applicable to this product before purchasing.